At a recent media confab, an exec claimed that the three most-watched TV programs globally among HCPs are Dancing with the Stars, Dancing on Ice, and broadcasts of cricket matches. This makes some sense: After a day treating patients, monitoring EHRs, and dealing with administrative nuisances, physicians probably don’t want to settle in on the couch with a drink and watch, say, a surgical-technique video. 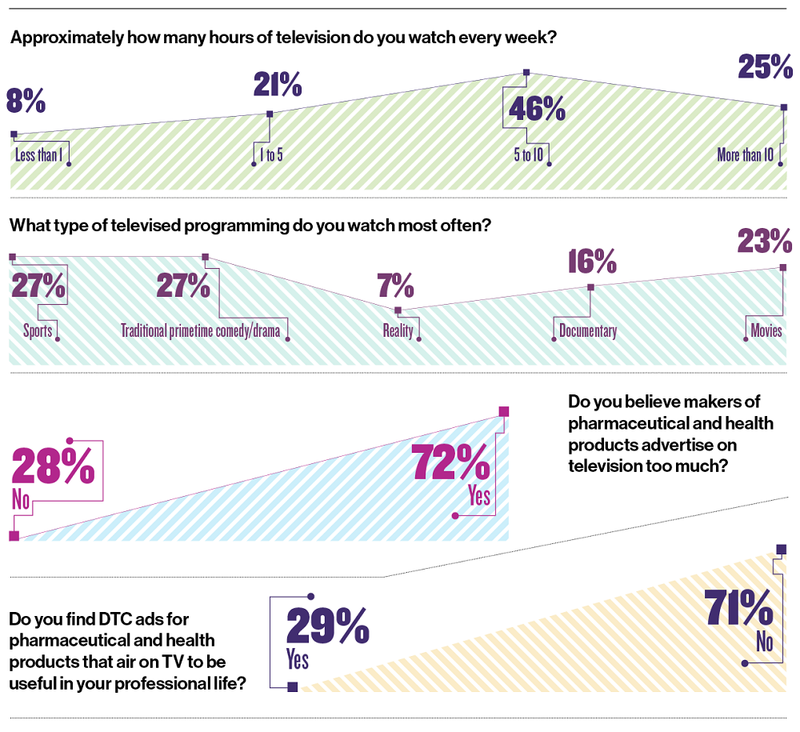 To get a better idea of physician preferences and their attitude toward TV consumption and the ads that come with it, MM&M and Sermo conducted a one-day survey on March 1 using Sermo’s RealTime rapid HCP survey platform. Here’s what the 101 physicians who responded had to say.